Our brave men and women who have taken an oath to protect and serve never know what dangers their day will bring. 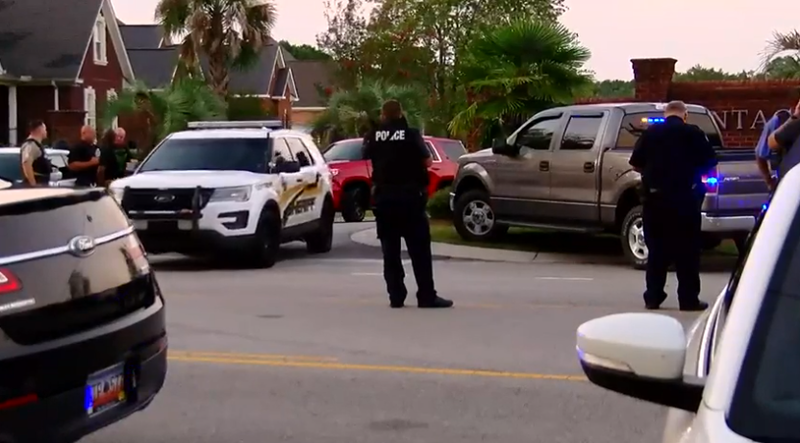 Seven police officers were involved in a deadly shooting in Florence County, a couple of weeks ago. Tragically, one police officer didn’t survive the shooting. Six others were injured, with some still in critical condition. The suspect of the shooting is a 74-year-old man, and it’s unclear why exactly he opened gunfire on the police officers. Reportedly, police officers arrived at his house with a search warrant in hand, but things clearly went south. 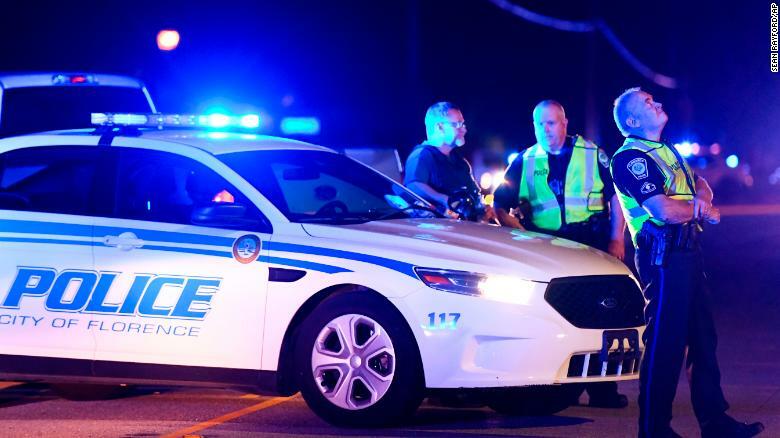 The press release says that the police officers were “ambushed without warning” when they first arrived, resulting in a total of seven officers getting shot. Police Officer Terrence Carraway, who had been serving for over thirty years, bravely rushed to the scene to help his fellow policemen and women but was caught in the midst of the gunfire. He tragically passed away during the trip to the hospital. It’s still unclear what exactly transpired during the horrible incident. 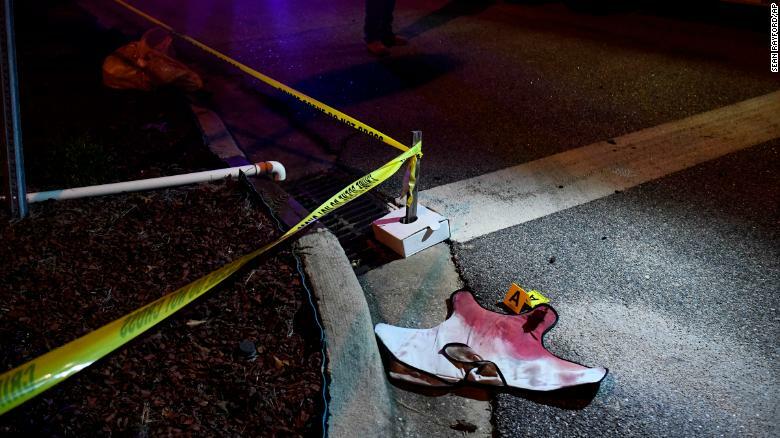 Eyewitnesses report that there was plenty of shooting, and things were incredibly hectic and intense during a 15-second-long firefight. The suspect later surrendered after an intervention by a negotiator. 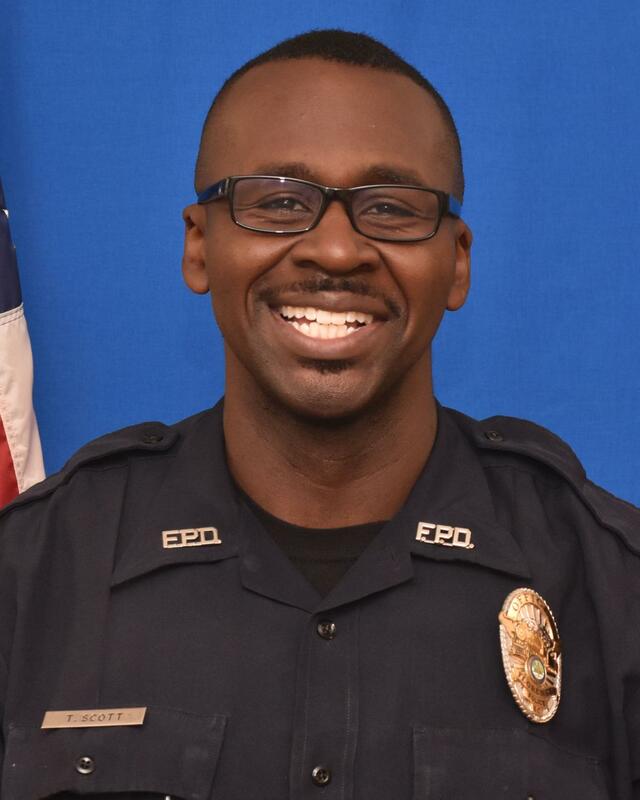 Officer Travis Scott was one of the police officers that was shot and was released from the hospital a couple of days after the shooting incident. 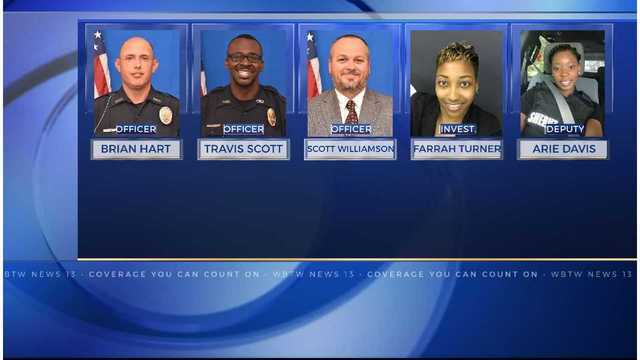 His colleagues Officer Brian Hart, Officer Scott Williamson, Deputy Aire Davis, Investigator Sarah Miller, and Investigator Farrah Turner were also caught by a bullet and are recovering. 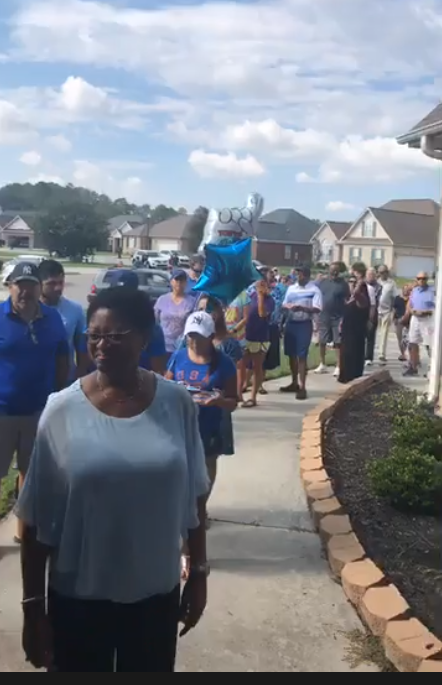 When Officer Scott returned home, the local community came together and had quite the surprise in store for him. 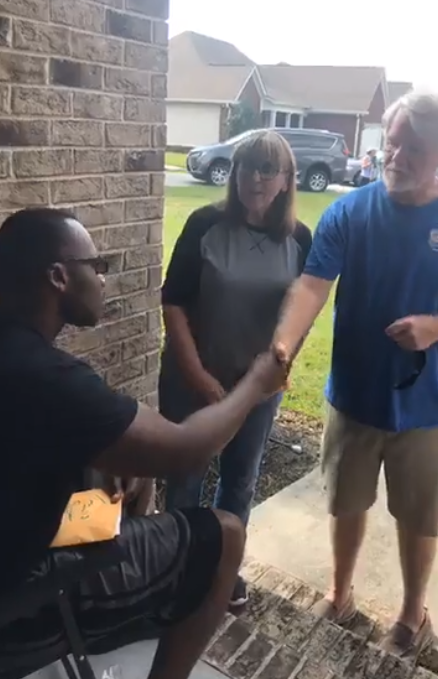 The Highgate Plan community heard about the shooting and wanted to take the time to thank Officer Scott in person with warm words of encouragement, heartfelt hugs, and small gifts. 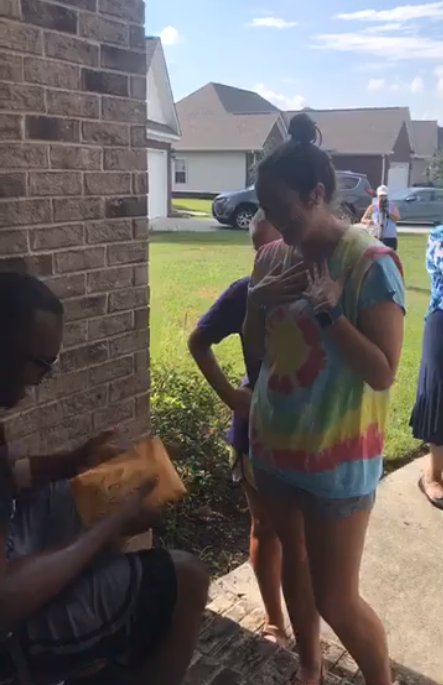 Some of them even brought homemade cakes and cookies to show their appreciation. 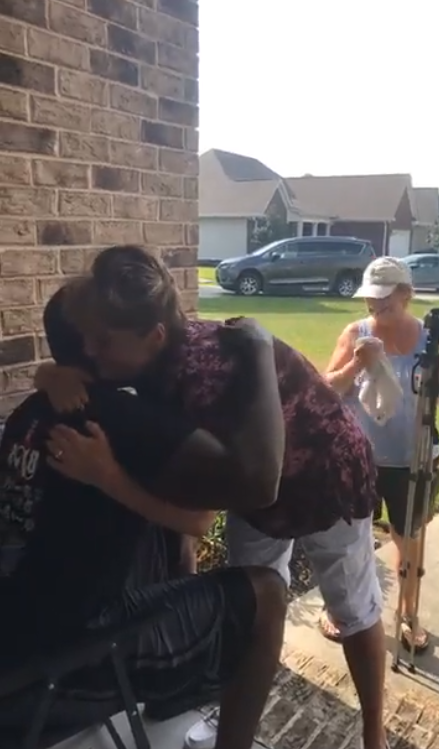 As you can imagine, Travis was overwhelmed by the loving support he received from his neighbors and the rest of the community. All words straight from the heart, and it went on for almost an hour. 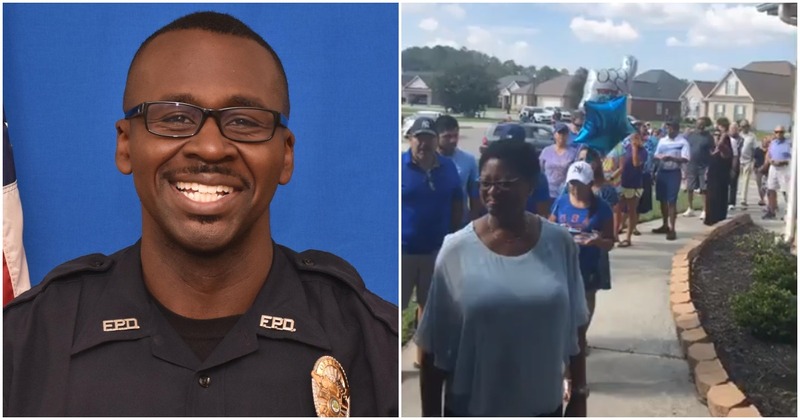 People were lining up just for an opportunity to thank this courageous police officer for his duty. Some of then even offered to help around with some chores such as mowing the grass! Of course, people were happy to see that he was doing relatively fine, although the bullet was still inside of him. He still needed an additional surgery to get rid of the bullet, but Officer Scott was definitely out of the woods and not in any severe pain. The man was noticeably humbled by this great event organized by the community. Everyone now hopes that the other victims of the shooting will have a speedy and successful recovery.